/ business / Where to Get Affordable Technical Translation from German to English? Where to Get Affordable Technical Translation from German to English? The English language is one of the most widely spoken languages across the world. It is mainly important in German-speaking countries that do business with the English world. 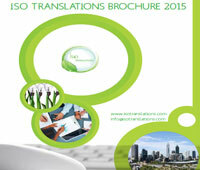 So, where can you get affordable technical translation from German to English? Our team of German/English translators consists only of native German speakers who also have high English proficiency and ability to translate German documents into English. Translation is not as simple as you might think. Sure, you have to be good at both languages that you use, but the central part is making the translation accurate on a professional level. In other words, you have to know the subject you are translating! That’s why we hire German/English translators who are not only linguists and language maniacs, but also really knowledgeable at some particular subjects, such as technical translation and so on. Your text will be localized and handled professionally! Affordable technical document translation from German to English is a service that ISO Translations is usually asked to undertake. When it comes to presenting mechanical theories and technical study in English language, it is essential that professional translation is used to convey the information at correctly. Accuracy is vital! Is there nose to nose competition between you and your competitors? Precisely translated materials can give you a considerable success on the global market. Whether you are a technical device distributor or manufacturer, a business with an affordable and professional technical translation agency can provide you the advantage! Translating technical texts is much more challenging for translators than translating general, everyday materials. We have gathered our teams of professionals with the years of extensive experience in the translation of technical documents for each of the 100 languages we offer. 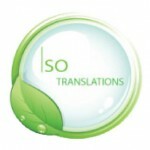 Why is ISO Translations the ideal partner? With years of expertise and international associates, ISO Translations has been providing affordable technical translation from German to English to its clients, done in accordance with the specifications. At the same time, our dedicated project managers are there to update you in detail about all things and listen carefully to your concerns. We understand what they want and can see what they don’t prefer in our business. For this reason, you find what you want – our aim isn’t to compel our services on anybody. We pay appropriate care to ensure that our processes are straightforward and understandable. We offer secure guarantees, without any lie. Working as fast and with the same translation technology as a global translation agency, but with greater focus and more affordable prices. We are reachable and helpful, even as our project management and professional technical translators, multi-stage editing and proofreading mean that we can ensure the highest quality. This is all combined with a deadline and satisfaction guarantee, but without overcharges at any time for the affordable technical translation from German to English. Every year, we complete more than 10,000 successful projects for the most famous companies in the world – we hope that you will soon decide to join them! Put us to the test and do not hesitate to contact us!